Students enrolled in the Indigenous Peoples Law and Policy program’s Tribal Justice Clinic provide legal assistance to tribes throughout the Southwest, North America, and the world. Students serve as tribal judicial clerks, write amicus briefs, develop legal strategies, and work beside criminal defenders and tribal prosecutors in courtroom settings. They contribute to important tribal justice projects, researching best practices, drafting legislation, and developing tribal codes. Students research legal issues and help try cases in support of tribal efforts to improve the administration of justice and good governance in Indian Country. The Tribal Justice Clinic gives students vital experience working with tribal communities on emerging legal and policy issues, preparing them as lawyers to enter the field with practical experience and established relationships with community leaders. 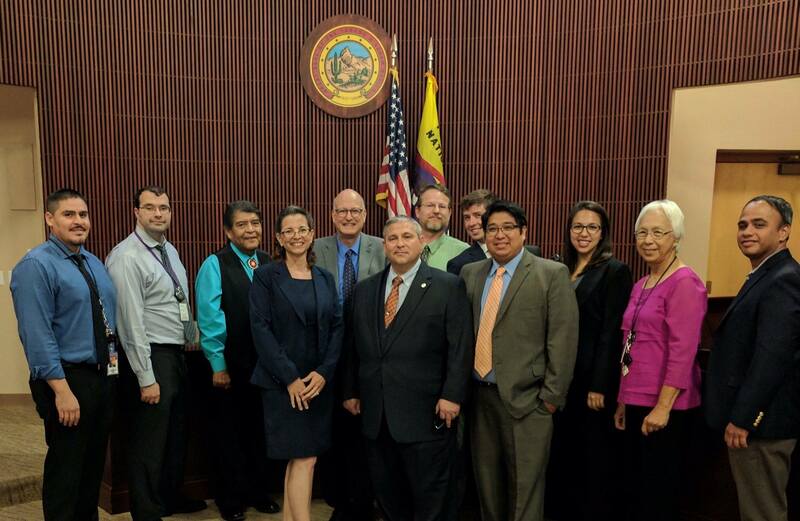 A new student practice rule adopted by the Pascua Yaqui Tribal Court allows students enrolled in the Tribal Justice Clinic to appear in court under the supervision of a licensed attorney. This new rule allows clinic students to appear in tribal court and argue cases. The Tribal Justice Clinic affords students the chance to gain vital court room skills, work with leading legal practitioners, and increase access to justice for Yaqui community members. Students gain practical experience in criminal law, civil litigation and procedure, and trial advocacy within tribal court settings. If you are an attorney working with tribes in southern Arizona, here are some useful resources.